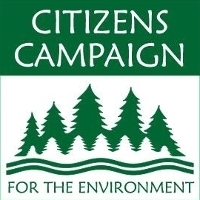 Citizens Campaign for the Environment (CCE) was formed in 1985 by a small group of concerned citizens who recognized the need to provide public involvement to advance stronger environmental policy. Today, CCE has grown to an 80,000-member organization with offices in Farmingdale, NY, Albany, NY, Syracuse, NY, Buffalo, NY, and Hamden, CT. CCE continues to work to empower the public by providing members with opportunities to participate in the political process and thereby advance a strong environmental agenda. CCE engages in extensive education, research, lobbying and public outreach. One of our primary goals is to help citizens increase their influence and participation in important environmental campaigns. Through such activism, the public has a stronger voice in the development of public policies and legislative agendas. CCE's experienced program staff works to identify key environmental concerns in communities across New York State and Connecticut. By working with other organizations in diverse coalitions and through ongoing communication with local, state and federal elected officials and environmental and public health agencies, CCE has been successful in advancing programs that benefit the natural environment and public health. Our achievements through public involvement have resulted in greater awareness and protection of drinking water quality, preservation of open spaces, protection of beaches, bays, rivers and Great Lakes waters, advancing renewable energy and a reduction in pollutants that impair our air and water resources.